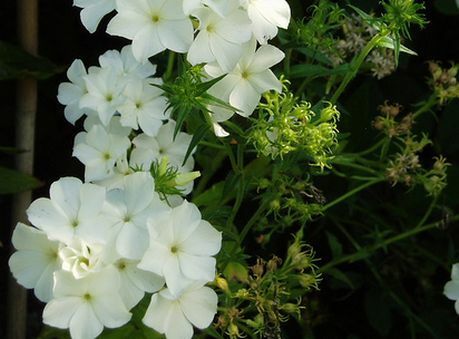 Phlox can be annual or perennial in nature; this section deals with the annual varieties. Information on perennial Phlox. These small plants bloom from late spring to summer and flowers in mass; the flowers may be white, red, orange, pink or purple. Some common names for annual Phlox varieties include Texas Pride, Phlox blue paradise, bright eyes, clouds of perfume, purple, orange perfection, creeping, dwarf, and Drummond Phlox. Latin names include phlox maculata, phlox paniculata, phlox drummondii, and phlox carolina. Phlox drummondii - Annual Phlox by Udo Schröter; creative commons. Common Names: Phlox: Northern; Mountain; Largeleaf; Woodland; Meadow; Swordleaf; Moss; Pointed; Garden; Marsh; Drummond. Life Cycle: Half hardy annual, hardy annual. (go to this page for Hardy perennial). 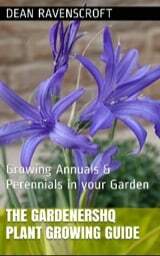 Growing Region: Annuals: zones 2 to 10. Flowers: Spring, summer and/or autumn. Flower Details: Violet, pink, blue, red, white, cream. Fragrant. Massed. Flat. Star shaped. Tubular. Annuals: Cover seed. Before the last frost. In warm areas can also be sown at the end of summer. Spacing 4 to 20 inches (20 to 50 cm). Annuals: Use peat pots. Germination time: one to three weeks. Temperature 60°F (16°C). Seven or eight weeks in advance. Transplant outdoors a few weeks before the last frost. Requirements: Full sunlight or light shade. Good drainage. Soil pH 6.5 to 7. Rich soil. Organic soil. Moist soil. Regular watering. Summer feed. Pinch tips. Deadhead. If growing phlox outdoors from seeds then sow at the start of spring (before the last frost); or if you live in a warm area plant in the autumn. The phlox seeds should be lightly covered once sown. Phlox can be located in either a sunny or partially shaded part of the garden. They like to grow in a moist soil that is rich and of pH 6.5 to 7. If starting indoors then do so about 7 or 8 weeks in advance. The phlox seeds should take one to three weeks to germinate in the dark at 12 to 18 degrees Centigrade. Transplant the Phlox plant seedlings into the garden with a spacing of 10 cm (small) to 45 cm (spreading varieties) apart. Once the young phlox plants get a footing pinch them back to encourage branching and bushiness. They like to grow in moist soil so regularly water them. The blooming period can be prolonged by deadheading flowers.